"What Jay Z said to Solange" exploded on Twitter Monday afternoon after footage of Beyonce's sister attacking her hip-hop mogul husband was released. Social media users took their time out to make jokes of the violent fight, which occurred during the posh Met Gala last week Monday at the Standard Hotel's Boom Boom Room. Although it isn't known what Jay Z, 44, said to Solange to make the 27-year-old so crazed and angry, what was readily apparent was her rage as she attacked him. The mother of one flew at the rapper in fury, striking him and kicking him when a bodyguard intervened. The video, released on TMZ Monday, was the subject of much rumor, speculation and jokes on Twitter and other social media outlets. "It's so nice to meet you, I didn't realize Bey had a sister. What do you do again? 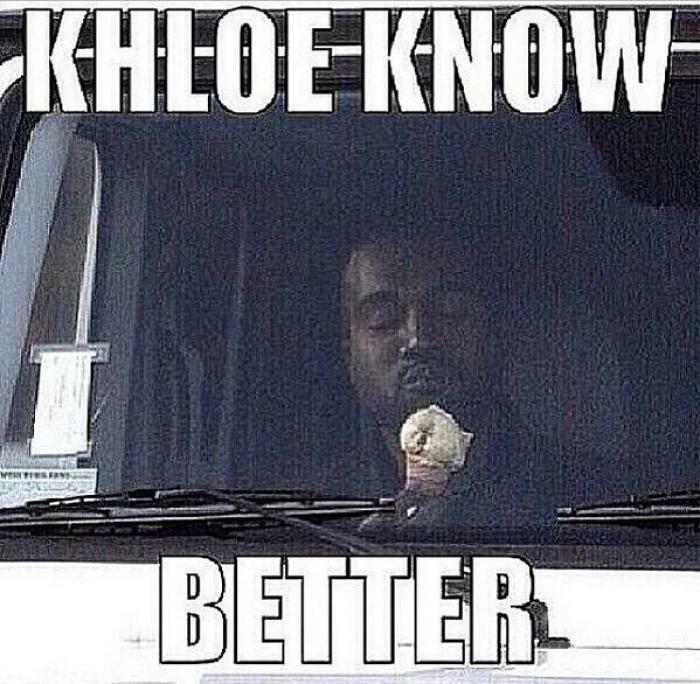 #WhatJayZSaidtoSolange," Kalen Allen tweeted, making light of Solange's career in the shadow of her famous sister. "Solange: pretty hurts. Jay Z: how you know?" another joked. Various Twitter users also pretending that the rapper heard the elevator music and thought it was one of Solange's songs. "My lips bigger than your career #WhatJayZSaidtoBeyonce," posted @SwissBie. 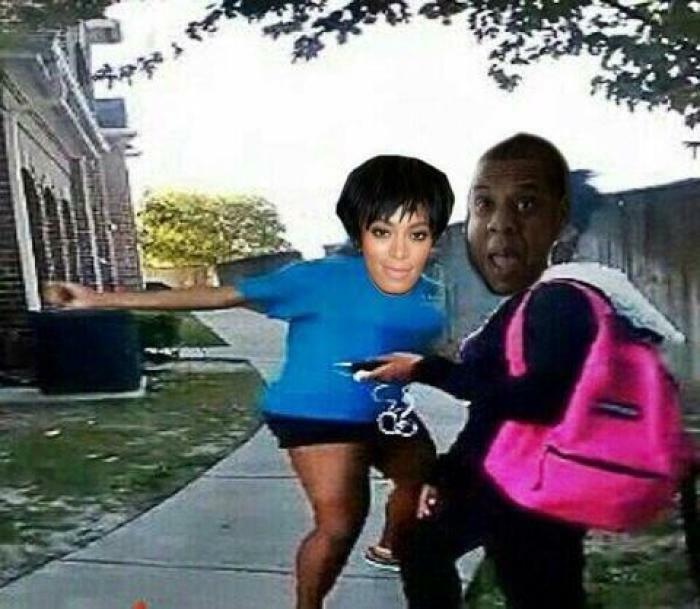 "Jay Z: how you getting home? 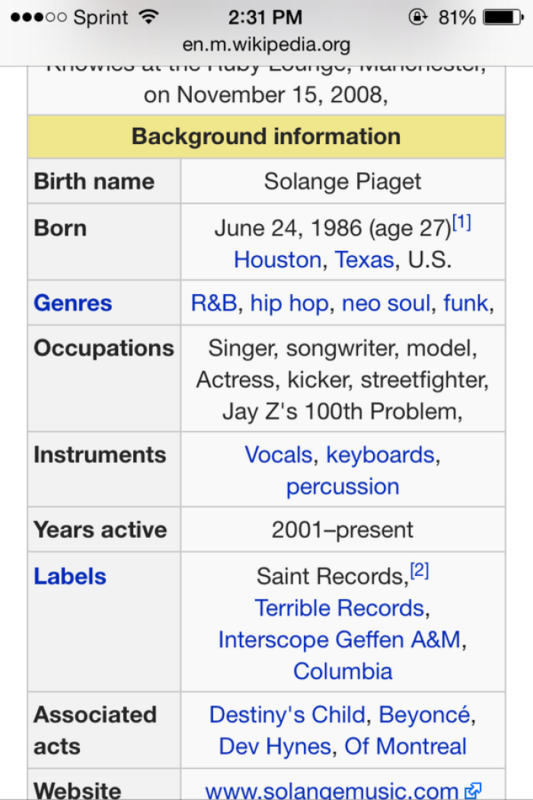 #WhatJayZSaidtoSolange" one Twitter user tweeted, while others referred to her as "Jay Z's 100th Problem." 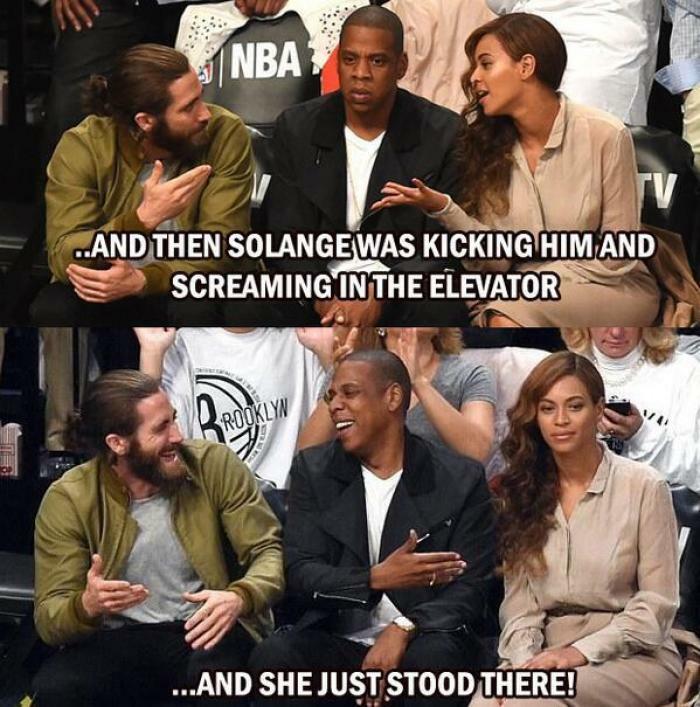 While the "What Jay Z Said to Solange" hashtag took off, others pointed out that Beyonce, who was also in the elevator during the brawl, did little to protect her husband or stop her sister from fighting him. The songstress patted her sister's leg once or twice, but didn't do much else during the incident. After the fight, the famous sisters entered a waiting vehicle and drove away after the fight, however, the "Holy Grail" rapper left in a separate car. To see a video of the incident, click below.